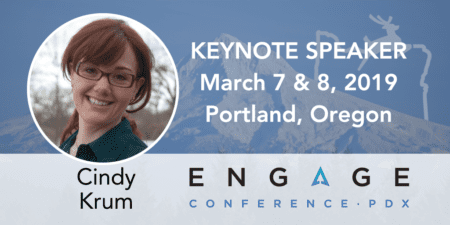 Cindy Krum will be presenting a keynote on Mobile Search at Engage which will take place March 7–8 in Portland Oregon. For more information or to purchase tickets, please click here. I am the Founder & CEO of MobileMoxie – we provide expert mobile SEO & ASO consulting, generally supplementing internal SEO teams that are struggling with complex mobile SEO concerns related to Mobile-First Indexing, apps and cross-device search needs. We also host a cutting-edge tool-set that focuses on addressing user-facing and API-oriented mobile SEO concerns for independent SEOs, agencies and tool providers. 2) What impacts, if any, are you seeing in the SERPS from Mobile-First Indexing? WOW – we are seeing SO many changes! It almost seems like Google was waiting for the launch of Mobile-First Indexing to launch a bunch of other stuff too! Position-Zero results appear to be breaking out of the ‘position-zero’ location, and now are being built-out and included in more and more places. Google is testing more types and different locations of paid search results – including mixing some in between the top and the bottom of the mobile page. There are more PAA’s (People Also Ask), more robust information in Knowledge Graph and GMB, and more links and #Fraggles (Something that we have been talking about and writing about a lot recently). 3) Do you see “Smart Speaker” searches ever getting past the “mostly informational” stage? YES. This is why they are starting by building out the amount of ‘hosted inclusions’ in with Mobile-First Indexing. It is going to be hard for Google to read a website from a smart speaker, unless the website is properly marked up. This is at the crux of the concept that we have been talking and writing about a lot recently, that Mobile-First Indexing is really Entity-First Indexing; aka – organizing the information of the web around their Knowledge Graph, to help build-out their ability to make more information potentially a result for an ‘informational’ type of query. With Entity Understanding, Google knows enough about the relationship between different concepts to make more informational leaps needed to have a good, robust interaction with voice only. Beyond that, Google is lifting and hosting the most important aspects of the information found on your site, to be included as part of their Knowledge Graph via Answers and Featured Snippets/Rich Snippets. The more information that they can host and serve, the more ‘mostly informational’ the information in the results seems. 4) For the small business owner stuck with a non-responsive website, what would you tell them to push them into taking action to fix this? It will sound like sacrilege, but anymore, I think that some small businesses can actually do a great job with SEO without their own website. If they are doing a good job maintaining Google My Business, YouTube, Twitter and Facebook, that might be enough. Google My Business now even offers a free hosted website option, and these are actually ranking well. Since Google seems to really like ranking content that they also host, Google Play Apps, YouTube Videos, Podcasts and Shopping/Express results might be a better investment of time and resources for some companies. 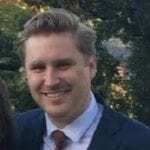 5) How good currently is GA’s cross-device tracking? GA’s cross device tracking is ok, but Google seems to be doing a bit better job of cross device attribution in Firebase. The biggest problem with GA and Firebase though, is that it only shows the data for the people who actually click through from a search to reach the website. In mobile, the SparkToro/Jumptap data suggests that this is only 48% of the data. This is one of the problems that our tool set is trying to solve – When 62% of mobile searches get no clicks, we think it is important to see what that 62% of the audience is seeing, to know what they are actually clicking on – so we set up a tool that will execute the same mobile queries in a customizable set of locations on a weekly or monthly basis, to see how things in the actual SERP are changing – archiving images of the actual mobile results for comparison and analysis. For companies who have GA and GSC, it is important to link these because GA only shows the data for results with clicks. GSC at least shows some data about the queries before they click, so SEO’s can at least get knowing about what is actually happening in the SERO, but SEO’s still won’t be able to see when they are ranking for Map Packs, App Packs, GMB results, Knowledge Graph, Answers and other hosted inclusions, or when any of the paid stuff that Google is testing might be pushing a ‘top-ranking’ organic result down…sometimes nearly half way down the page. The problem is, with all those hosted inclusions, rich snippets, answers and interactive results at the top, how much does it even matter if you rank in the first position in organic – Is there anyone who will not find what they need in those results, and will anyone keep scrolling below them just for the added value of your site? Now, we are often helping our clients focusing on optimizing these things, as much as we are focusing on their sites.